It’s no surprise when a business or industry wants to protect its piece of the proverbial pie. Case in point, recently medical equipment manufacturers made a case before Congress for legislation to control Independent Service Organizations (ISO) to supposedly ensure safety and quality. The only problem with that concern is that there are already safety systems in place. The Centers for Medicare & Medicaid Services (CMS) drive the accreditation through Joint Commission, DNV and HFAP—with many of the ISOs already participating in ISO 9001 certification (as well as other ISO 9000 compliance) which is already certified quality control. So what’s really going on? In the medical imaging industry, it’s common knowledge that manufacturers want to be the only source for medical imaging equipment servicing—in truth, they want to create a monopoly and are willing to use their lobbyists an deep pockets to achieve this. Furthermore, they want to expand legislation to gain a corner on the market for ALL medical equipment servicing—in essence, putting all ISOs out of business. It’s important to note that they aren’t trying to improve the quality of service. They just want to keep it all to themselves. And they want to do it in the “interest of the stakeholders.” Which is almost comical, because most of the true stakeholders couldn’t disagree more. By limiting servicing to the original manufacture of the equipment, hospitals and clinics would not be allowed to use in-house personnel—or any ISO—for repair services. And interestingly enough, the manufacturers themselves do not have the staff to provide this high volume of repairs, which would result in delays, lower quality, higher prices and worse patient outcomes. Seems like the FDA agrees. It recently said it couldn’t find any reason to impose new regulations on the servicing of medical devices. In fact, it reported that many OEMs and third parties provided safe, high quality and effective servicing, including refurbishing and reselling equipment like endoscopes, ventilators, external defibrillators and medical imaging equipment. Instead, the FDA vowed to promote quality management principles, foster quality assessments strengthen cyber security and clarify the difference between remanufacturing and servicing. In a 32-page report it also suggested that a public-private forum might be created to address any challenges in the field. The FDA decision was strongly supported by the Medical Imaging and Technology Alliance, but also suggested that Congress pass legislation to require third-party services to register with the FDA and report any adverse events. 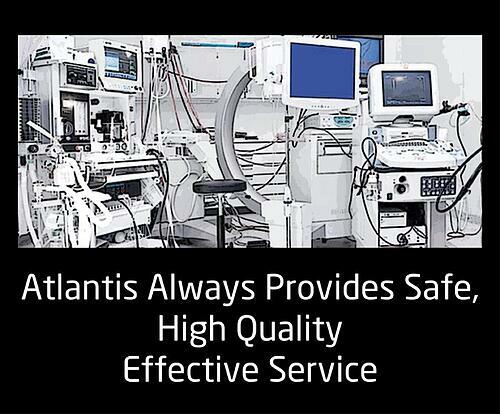 Atlantis Worldwide has been a reseller of medical imaging equipment for more than 25 years, helping medical practices and facilities find the medical imaging equipment they need, as well as the service and maintenance contracts they want. If you have any questions about refurbished or preowned medical imaging equipment, legislation or quality standards, be sure to talk to one of our experts. We’re happy to help. Contact Us Today!